On Veterans Day, our country takes time to recognize and thank the brave men and women who have risked their lives to protect our freedoms. 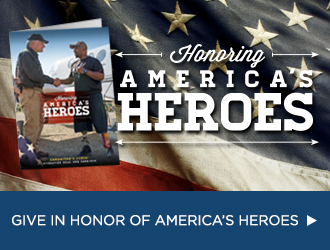 At Samaritan’s Purse, we are dedicated to honoring veterans through Operation Heal Our Patriots, our ministry to wounded military members and their spouses. Through this program, we offer a wilderness retreat in Alaska to give couples biblically-based tools to heal marriages damaged by the stresses of deployments and injury. While all experience the awesome beauty of God’s creation and an opportunity to escape their everyday lives, many leave with a renewed marriage and a strengthened or new commitment to Jesus Christ as their Lord and Savior. The program doesn’t end after the week in Alaska. 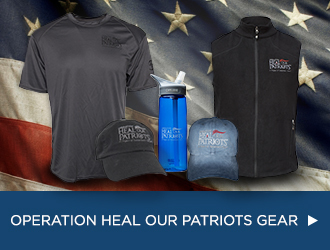 Operation Heal Our Patriots staff is committed to maintaining the relationship we establish with our veterans while also providing further support. A key component of the program is helping spouses who have become caretakers of the injured veterans.